Chinese tech giant Huawei is currently China’s largest smartphone vendor with devices like the P10 and the Mate 10 doing brisk business. Its upcoming P11 flagship now promises to bring new features that the company hopes will keep it firmly at that position. Recent leaks have suggested that the device will look significantly different from its immediate predecessor, the P10, which was launched earlier this year. According to latest rumors, the upcoming device will actually sport an almost bezel-less design with an ‘iPhone-like notch’ at the top. This was discovered by the folks over at XDA who looked into the firmware files of an upcoming handset and, recreated an overlay image that was found buried deep within the files. 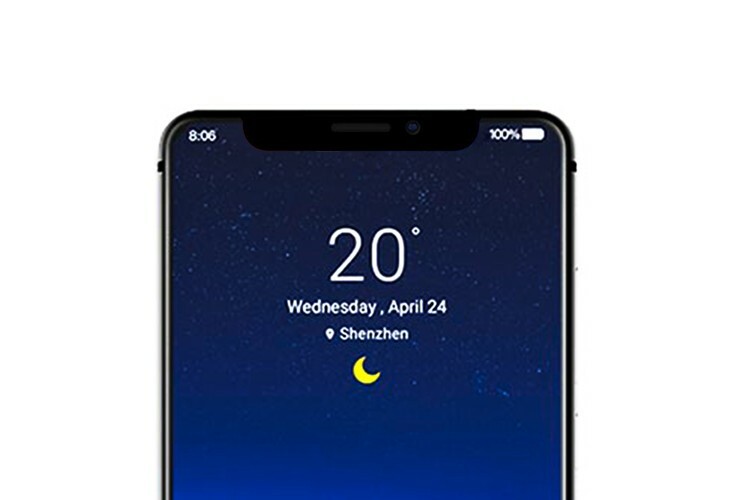 As can be seen from the image below, the large notch at the top seems to be more akin to the one found on the iPhone X than the tiny little notch on the Essential PH-1. Sifting through the firmware code further, the folks also found that the device has the codename ‘Emily’ and will apparently, have at least four variants – EML-AL00, EML-L09, EML-L29, and EML-TL00. The one thing to note here is that XDA isn’t claiming this particular device is definitely the P11, but everything seems to be pointing that way at this stage. If Huawei’s next flagship smartphone actually ends up with the notch, it won’t be the first time the company will be taking ‘inspiration’ from Apple. The Chinese company recently revealed that it is planning to bring facial recognition to its future smartphones, showing off its own version of Animojis that were originally introduced by Apple with its iPhone X. With Huawei remaining tight-lipped about its upcoming flagship, there’s no way to tell what the notch will be used for, but it’s probably safe to say that it will house at least the front-facing camera(s), earpiece, proximity sensor and ambient light sensor. In case the company also introduces its planned facial recognition feature in this particular device, the notch will also house face-recognition hardware that may include an infra-red camera, a dot projector and a flood illuminator, just like the Apple flagship.